Some of us would do anything to shy away from a chore, be it cleaning up or doing the laundry. 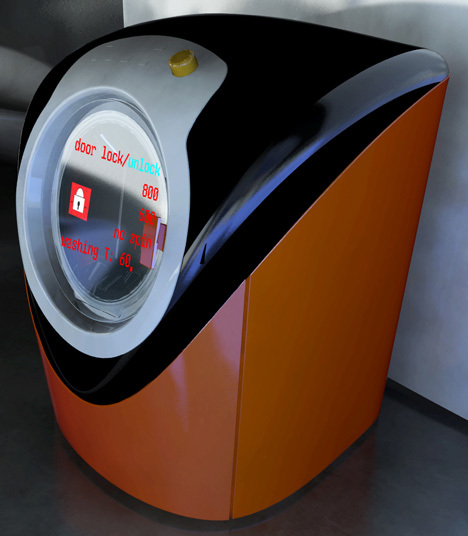 However our friend Murat Ozveri is trying to entice us into at least wearing clean clothes once in a while thanks to his innovative OVO washing machine. 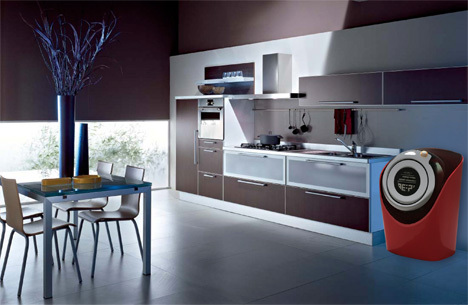 The enticement comes in the form of visual appeal more that practical application however. It’s the spunky colors, ergonomic outlines, lights and disco show that glams-up OVO! 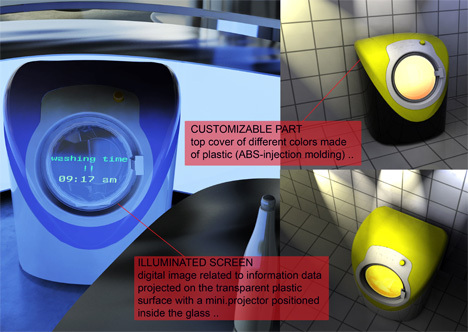 The key features to this design include interchangeable colorful plastic covers (made from ABS-injection molding) and a mini-projector positioned inside the glass face. 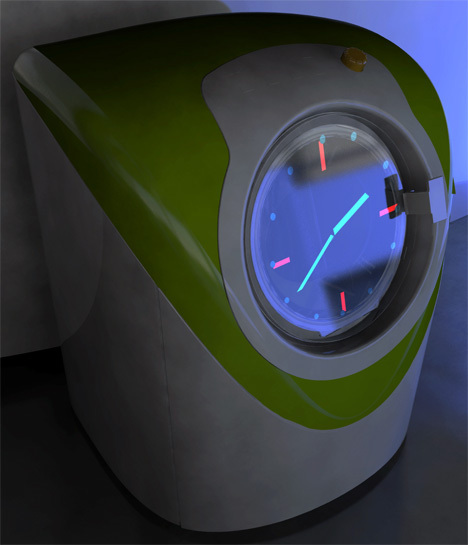 The fun begins when the machine gets into standby mode displaying a digitalized (analogue) clock and funky lights. In the working mode, the large glass-face displays all vital information regarding the wash cycle. Basically it’s a good-looking machine that will make any apartment happy. You can happily flaunt it anywhere provided you get the plumbing right.